The Avett Brothers In Concert: Newport Folk Festival 2010 Seth and Scott Avett's accessible mix of bluegrass, rock and folk has helped make rising roots-music stars of the photogenic North Carolina brothers. Seth and Scott Avett's accessible mix of bluegrass, rock and folk has helped make rising roots-music stars of the photogenic North Carolina brothers, but the real draw is the pair's rich, frenetic live shows with bassist Bob Crawford. 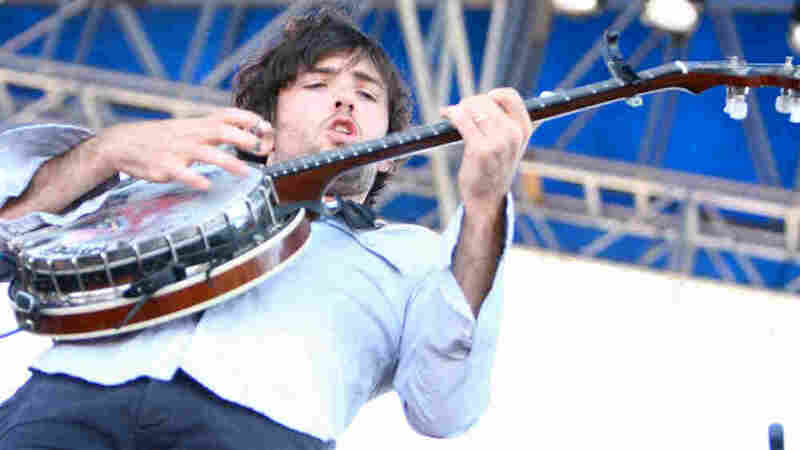 As The Avett Brothers' incessant touring takes the band through a laundry list of 2010's summer festivals — click here for a dynamite show from Bonnaroo back in June — mega-stardom seems tantalizingly within reach. Last year's I and Love and You is a real sleeper; an album with a lot to say about human behavior, big-hearted devotion and the desire to achieve simple goodness. Here, the band performs live at the Newport Folk Festival in Newport, R.I.